Austin McKinney is currently a second-year MBA student at Harvard Business School, where he proudly studies as a Tillman Scholar. 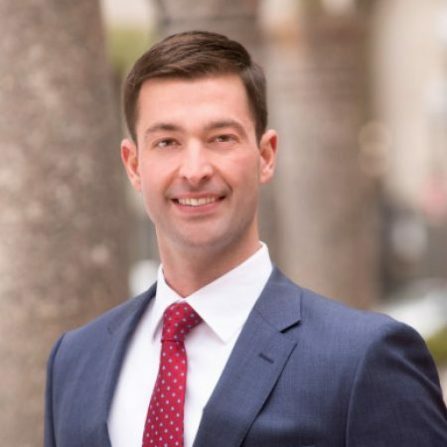 He is also a Captain in the U.S. Air Force Reserves, where he works to develop and field advanced intelligence systems for the military.Austin served for six years in the active duty Air Force. As an acquisitions officer, he partnered with the U.S. defense industry and international allies to develop and upgrade military weapon systems to support global security. He served as the Program Manager leading the modernization of the Upgraded Early Warning Radar system, a major ballistic missile defense radar shared by the United States and the United Kingdom. He also completed several international assignments, including serving as the Executive Officer to the senior U.S. Air Force operations planner in the Middle East, advancing defense cooperation with the Colombian Air Force from the U.S. Embassy in Bogota, and facilitating a large-scale humanitarian assistance mission in Honduras.Austin graduated academic valedictorian of his class at the U.S. Air Force Academy and studied as a Marshall Scholar at the London School of Economics. He is also fluent in Spanish and Brazilian Portuguese. To continue his passion for community development, Austin serves on the Board of Advisors for the YMCA of Boston’s Chinatown.